When we go about our lives, we make choices on where and how we live, where we spend our money or entertain ourselves. When we make those decisions, think HintonFirst. If, as citizens, we choose our activities or shop locally, service providers are able to expand what they do, they can pay salaries to our fellow citizens and support our community events. Citizens benefit because they have access to services that better meet their need. It is a win/win and does result in a better community. Shop Local Programs tend to fail because they put all of the onus on the purchaser, demanding that their loyalty. 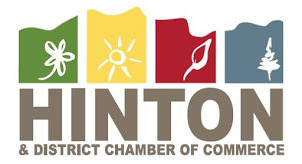 HintonFirst is instead an dialog between citizens and the service providers in our community. When you are considering spending money, be a localist and give your local service provider the opportunity to earn your business. The business must then provide service, selection and value, if they don't, don't shop with there. Business can afford to continue to support the multitudes of activities they are involved in. HintonFirst is an attitude. If we support one another, our community will be the best it can be; this is a win-win.